If you love to bid, then King of the Bit is the perfect Bitcoin gambling site for you. After all, the only thing that you need to do in order to win is to ensure that you are the highest bidder before the contest ends. Should you emerge as the bidder with the most amounts of bids, then you win the total amount of all the bids for that contest. Therefore, it is about time you do the things you love the most and start bidding now to win effortlessly! 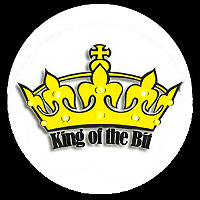 King of the Bit offers Bitcoin bettors a different way to profit online. Unlike in most Bitcoin casino games where you need to have luck or enough skills to win, this Bitcoin gambling site only requires you to have enough bitcoins to bid. If you have lots of these, then there is no reason for you not to make your bid right now. Just ensure that you have the heart of a lion and the might of a tiger to collect more bitcoins every week and to never back down in every fight. To start your quest on becoming the Bitcoin King for a week, you simply have to click the Bid Now button on its website. It is that easy! However, it is advised that you check first how much time is left before the weekly contest ends so that you will not miss a single opportunity to make the most of every contest. Should your bid fail to make the cut-off time, your bitcoins will not be wasted because your bid will qualify in the next contest instead. Submitting your entry to the contest will not take a long time. In fact, you just simply provide your Bitcoin wallet address, your bid amount, and an optional nickname that will be displayed on the list of winners on the website. Once you have done all these, click the Get Bid Address button and hope that you get to take the throne. Be advised, though, that the contest actually closes three days after the bidding closes to ensure that all bids seen in the block chain will be counted. With the seamless and basic mechanics of King of the Bit, bettors of all levels should be able to breeze through the bidding process and enjoy the suspense and excitement involved in waiting for the lucky player to win the contest. If it turns out to be you, then not only will your wallet be filled with more bitcoins, but your nickname will also be listed as one of the lucky winners. If you are thinking of instances where players can cheat, King of the Bit assures you that none of these will ever happen. In the event of a mishap, however, expect the contest to close and be declared as invalid while all the bids submitted will be refunded. Place your bid now and join others in competing to become the Bitcoin King even for just a week. Bid now!